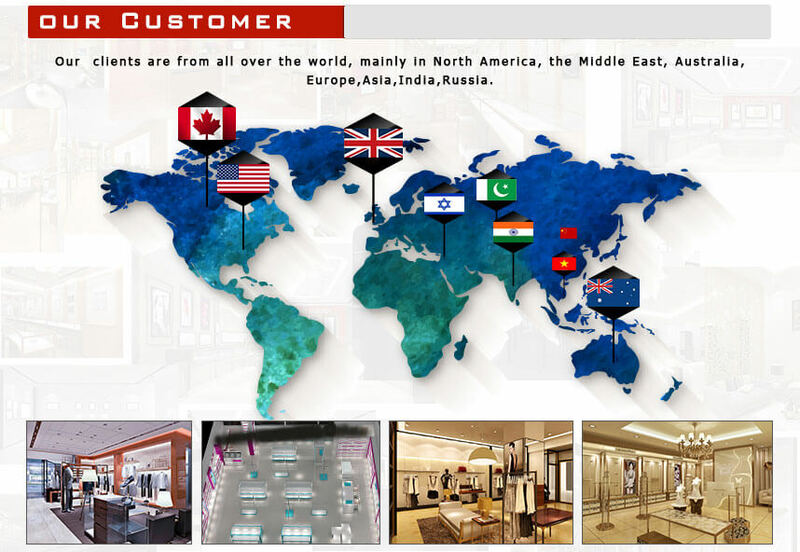 This lady clothing store is fashion and simple design style cater to young consumers. 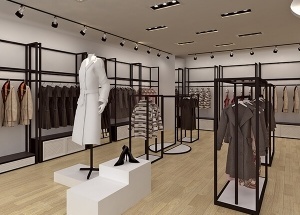 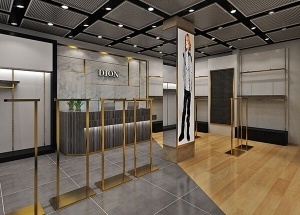 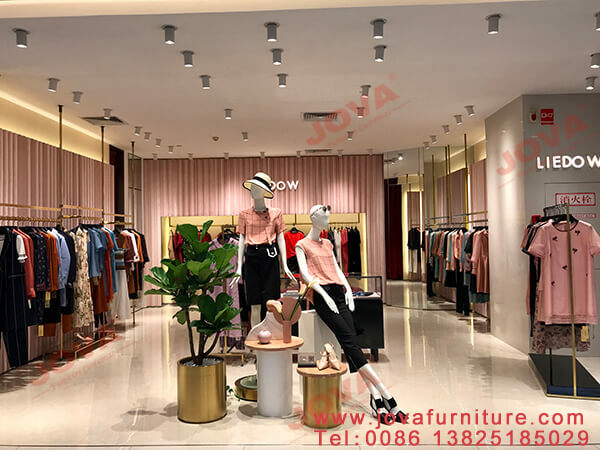 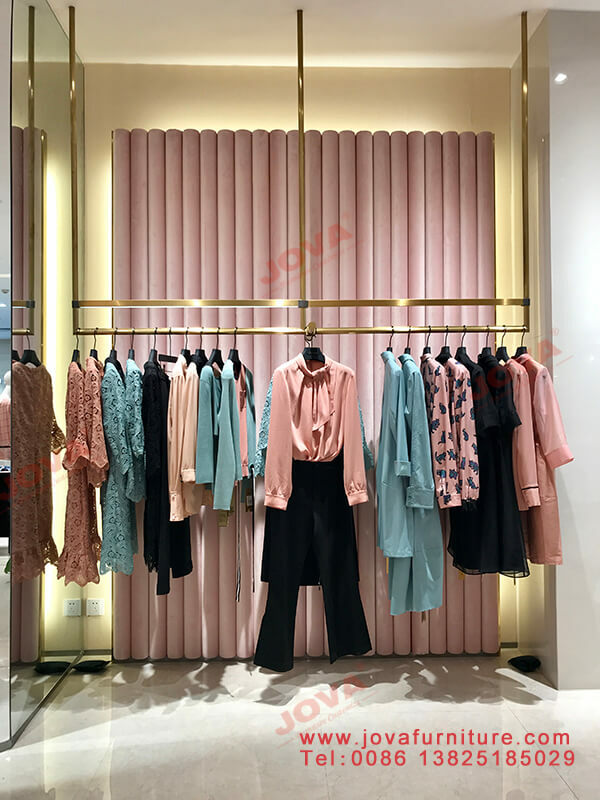 The clothes store displays, including wall hanging shelves, floor standing clothing display racks, glass showcase, reception units, nesting tables, platform, manikin displays, shop counter, spot lights. 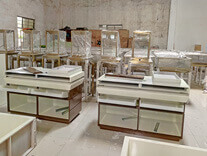 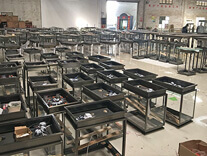 The wall hanging display case using solid golden stainless steel racks. 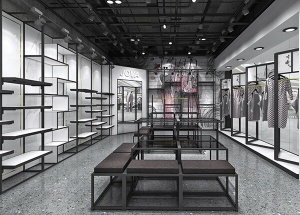 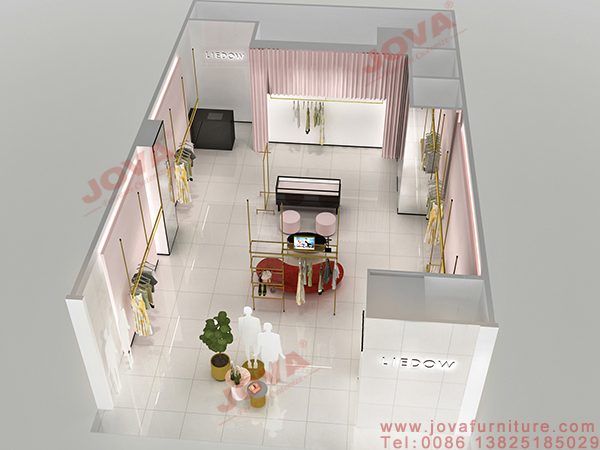 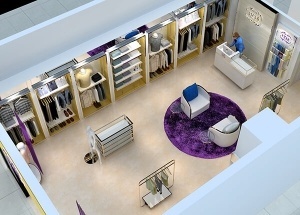 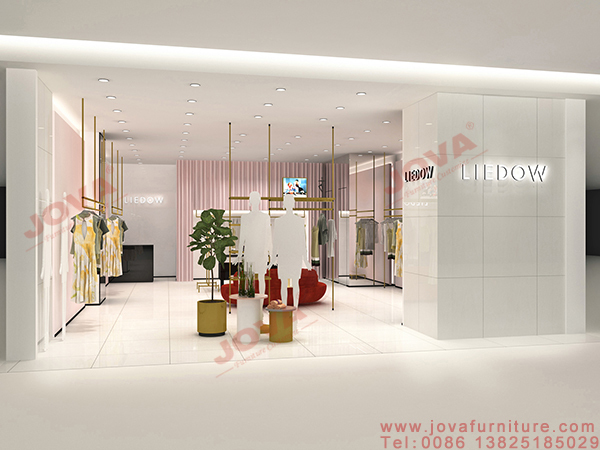 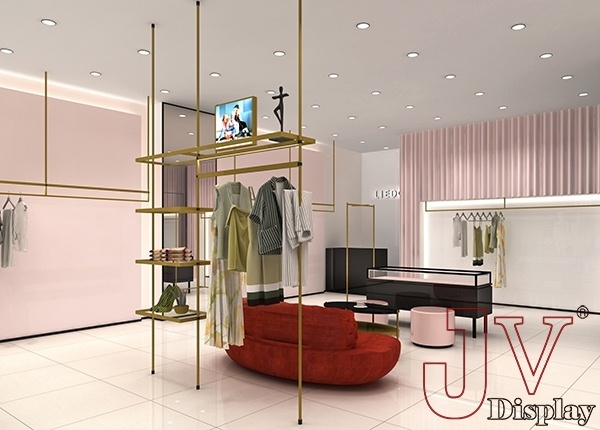 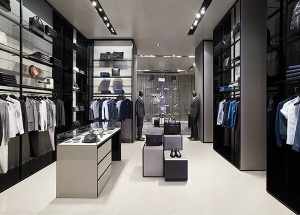 we JOVA DISPLAY FURNITURE do the clothing store interior design, manufacture the clothing store displays. 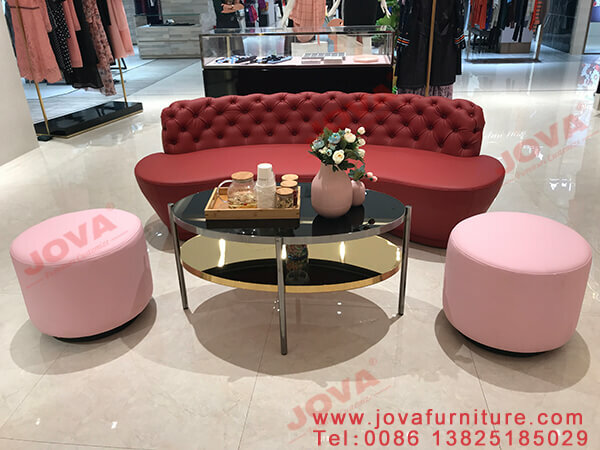 gat your shop solution, welcome to call at +86 13825185029 , email at jason@jovafurniture.com. 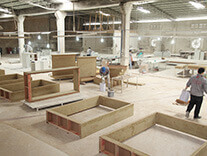 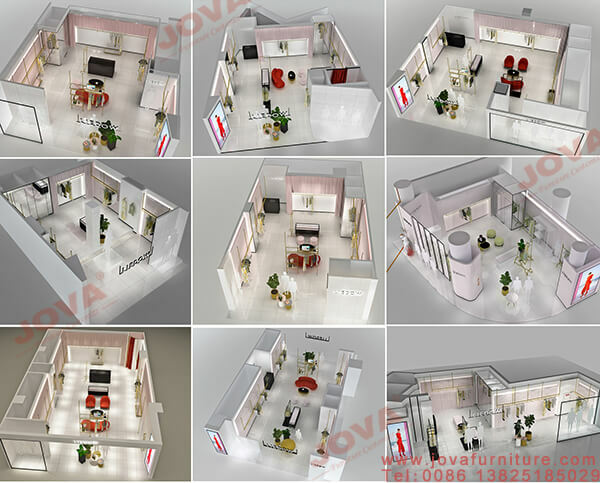 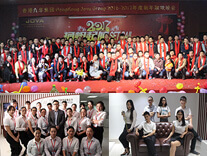 Jova Display Furniture Factory was set up in 2003, registered capital is RMB 500 million yuan, our factory covered 20000 sq.m. 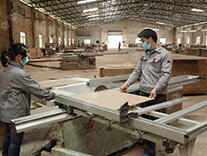 There are more than 100 workers with 15 years of experiences. 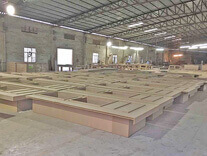 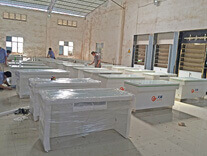 We have carpentry workshop, polishing workshop, fully enclosed dust-free paint workshop, hardware workshop, glass workshop , assembly workshop, warehouse, factory office and showroom. 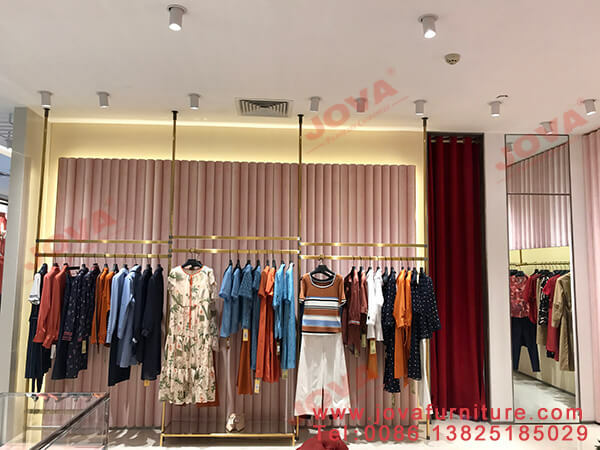 We can offer all in one service, including shop interior design, customized clothes store shelves and displays making, after-sale service and so on.